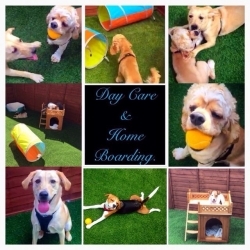 Handsome Hounds is pleased to announce that Day Care is now available exclusively to our Handsome Hounds customers. Whether you are looking for Day care on a regular basis or just occasionally, Handsome Hounds takes great pride in providing the best possible care for your dog in our custom built environment ensuring relaxation, safety, fun and socializing. We ensure to provide for every dogs individual wants/needs. Exclusive to Handsome Hounds customers only.. Your dog can live with us at our home and be part of our family, in a safe, familiar and loving environment. Leaving you worry free to enjoy your time away.You can even book your dog in to be groomed ready for your return, smelling and looking lovely.